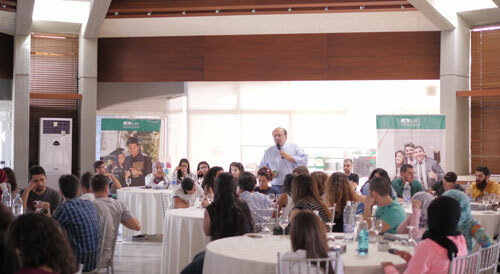 LAU welcomes a new cohort of students eager to tap their leadership potential and grow into agents of change in the region. The administrators encouraged the students to share different aspects of their academic and community engagement experience. New recruits, current students, faculty members as well as administrators from both the MEPI and LAU side took advantage of the retreat to get to know each other better. To break the ice between participants, the weekend was filled with interactive and challenging group activities. 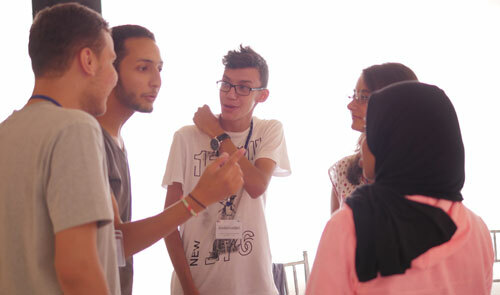 In a tense regional geopolitical context, 67 youngsters from 11 different MENA countries were brought together last weekend with the common goal of becoming community, business and national leaders of a future they hope will be more peaceful and promising. 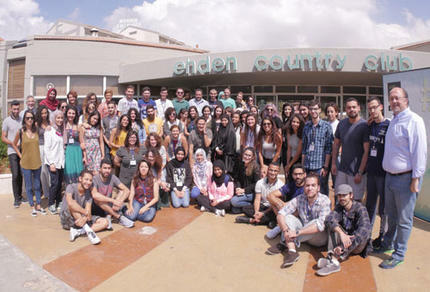 The 15 new recruits of the LAU-Middle East Partnership Initiative Tomorrow’s Leaders program (LAU-MEPI TL)―administered by LAU’s University Enterprise Office (UEO)―bonded with the 52 current students and administrators of the program during a three-day retreat organized in Ehden. “This program transcends gender, countries and cultures. Every year I am impressed by the transformation of the students who are gaining so much wisdom and self-awareness,” stated UEO Director Walid Touma. Now in its ninth year, the LAU-MEPI TL program provides higher education opportunities to underprivileged youth from around the Arab world who demonstrate outstanding leadership potential.